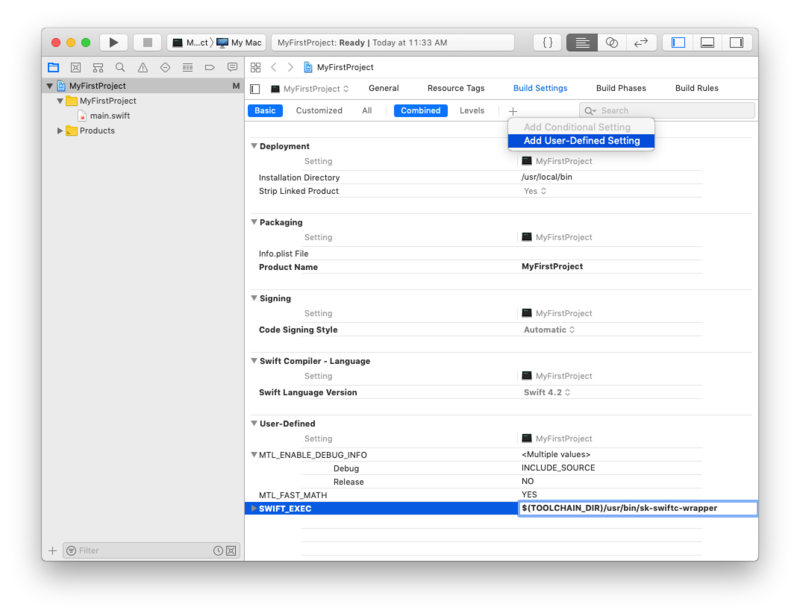 Sourcekitd provides the data backing key editor features like code completion, semantic highlighting, and refactoring for Swift files in both Xcode and the recently announced SourceKit-LSP. To help improve its robustness, we’re introducing a new tool, the sourcekitd stress tester, that over the past few months has helped find 91 reproducible sourcekitd crashes, assertion failures, and hangs. This post covers the stress tester’s implementation, its deployment in Swift’s CI and PR testing, and how Swift developers can run it over their own projects to help improve the Swift editing experience for everyone. Within this set there are two main classes of requests: syntactic and semantic. Syntactic requests include EditorOpen, EditorReplaceText and EditorClose. These are used to keep the state of a set of Swift documents the client cares about in sync with sourcekitd. Clients send them to update sourcekitd with the textual content of these documents as they are opened and edited, and in response, sourcekitd supplies up-to-date syntactic range and structure information that is typically used to implement syntax highlighting, code folding, and other syntax-aware features. Semantic requests include the remainder of the requests listed in the table above. These provide information about a particular source range (RangeInfo) or position (CursorInfo, CodeComplete, SemanticRefactoring) in one of the open documents, and require a semantic understanding of the document and its related files and modules. This is why they all take compiler arguments as input. These requests back a range of editor features including jump-to-definition, code completion, quick help and refactoring. sk-swiftc-wrapper: a helper utility that makes it easier to run the stress tester over all the files in an entire Swift project. This section describes how these two utilities work to help find and report issues in sourcekitd. Note: while these executables are only available in the macOS toolchain at present, there are no fundamental blockers to Linux support. It just hasn’t happened yet. The stress tester takes a single Swift source file as input, along with the compiler arguments used to compile it. Based on these, it generates a sequence of sourcekitd requests to open, modify, query, and close a single Swift document. Each of these requests is sent synchronously, one after the other, failing on the first that causes sourcekitd to crash, hang, or give back a response that fails basic sanity checks, and succeeding otherwise. When an issue is found, it outputs the necessary details to reproduce the problem, including the triggering request and the state of the open document before it was sent, as earlier EditorReplaceText requests may have modified it. Since the goal of the stress tester is to find a request that triggers a sourcekitd failure, the most interesting part of its implementation is how it decides on the sequence of requests to send. At present it generates requests based purely on the syntactic information of the provided source file according to one of four supported strategies. Which one is used is controlled by the --rewrite-mode option. A common trait of these initial strategies is that they’re all based around rewriting the input Swift source file in various ways or using it as-is. This has the nice effect that the issues they find happen in source code that still looks like something a Swift programmer would write and so, ostensibly, would be more likely to run into in practice. That said, we’d love to see more approaches added in future, so if it’s an area that interests you, please take a look at the project readme for instructions on contributing. In this mode an EditorOpen request is sent to open a Swift document with the input file’s content. No EditorReplaceText requests are made, so all subsequent requests happen against the file in its original state. CursorInfo requests are made at the start of every identifier in the file, and for each request that succeeds, a SemanticRefactoring request is made at the same location for each refactoring kind (local rename, convert to trailing closure, etc.) it reports as available. RangeInfo requests are then made on the uniqued ranges of every syntactic structure in the file above the token level, i.e. every (sub-)expression, pattern, statement, clause, declaration, etc. As with CursorInfo, SemanticRefactoring requests are made in the same locations for each refactoring kind reported as being available in the response. Finally, CodeComplete requests are sent at the beginning and end of each identifier and higher-level expression, before the document is released with an EditorClose request. The animation below visualizes this process for a small example file. Note that SemanticRefactoring requests are not shown, as they coincide with the locations and timing of the CursorInfo and RangeInfo requests. This strategy never modifies the input Swift source file, so assuming that file compiles, any failures it reports may affect users simply browsing and navigating unmodified, valid Swift code. These are generally higher-priority issues. In this mode an EditorOpen request is also sent, but with no file content. EditorReplaceText requests are instead made to introduce the content of the input Swift source file token by token from top to bottom, with various semantic requests being made before and after each token insertion based on the token’s type and what higher level syntactic structures it is a part of. CursorInfo requests, for example, are made at the start positions of all identifier tokens as soon as they are introduced, while CodeComplete requests are sent immediately before inserting identifiers, and immediately after inserting identifiers and tokens that end expressions. RangeInfo requests, meanwhile, are sent for all higher-level syntactic structures, as soon as their first and last tokens have been inserted. As with the default mode, SemanticRefactoring requests are sent for each available refactoring returned from the CursorInfo and RangeInfo requests. While browsing and navigating valid code is important, many sourcekitd requests like CodeComplete, are primarily invoked on Swift source files in an invalid, incomplete state. This is the simplest strategy that exercises sourcekitd on source with incomplete syntax and unresolvable identifiers. This mode works like the basic mode, but as if it was being run for each top-level declaration in the file concurrently. It inserts a single token of the first top-level declaration, then of the next top-level declaration, then of the next, and so on, in a round-robin-like scheme, until all tokens have been placed. Semantic requests, like CursorInfo and CodeComplete, are performed before and/or after each token is inserted, according to the same rules as the basic mode, above. As well as producing incomplete syntax, this approach also results in declarations later in the file being temporarily nested inside earlier declarations, often giving them invalid contexts. As with the previous two modes, an initial EditorOpen request is sent with no file content, and tokens are inserted gradually via EditorReplaceText requests. The ordering in this case, though, is from the most deeply nested token in syntactic structure of the provided file, to the least. This depth is based on SwiftSyntax’s syntax tree, so is quite fine-grained. In the expression (1-2)+3, for example, the tokens would be inserted in the following temporal order: 1, 2, -, (, ), 3, +. Beyond the different insertion order, this mode otherwise works similarly the concurrent and basic modes, sending semantic requests as tokens are introduced based on both their type and the higher level structures they complete. This approach results in fairly incomprehensible modifications and file states in its early stages, but has been quite useful in finding issues in SwiftSyntax and the recently introduced incremental parsing logic that sourcekitd uses to provide the syntactic information in the EditorOpen and EditorReplaceText requests. The stress tester executable itself isn’t very convenient to run over an existing project because it can only be run per file and takes explicit compiler arguments. To simplify this the toolchain includes the sk-swiftc-wrapper executable. This wraps and serves as drop-in replacement for the Swift compiler, swiftc. When invoked, it passes the compiler arguments it’s given through to swiftc to compile as normal, but if the compilation succeeds, it additionally invokes the stress tester on each of the Swift source files that were compiled. To speed things up, a number of these invocations may be run in parallel, depending on the number of available processors. If any of these stress tester invocations fail, the invocation as a whole also fails. This makes running the sourcekitd stress tester over a project as simple as setting sk-swiftc-wrapper as the swift compiler to use, and building. If the stress tester finds an issue, the build fails and details on the issue are included in the build output. To help catch sourcekitd failures as they’re introduced, the stress tester is now being run over the 78 open source projects in the Swift source compatibility suite as part of Swift’s continuous integration testing. The Swift source compatibility suite was put together to help ensure the compatibility of Swift source code as the language and compiler evolve, but its mix of Xcode and Swift Package Manager projects across a variety of domains make it a great corpus of real-world Swift code to run the stress tester over too. Swift CI is currently running the stress tester over the full suite once per week due to its long runtime, and over a smaller subset that has a faster turnaround on a continuous basis whenever sourcekitd and compiler changes are made. To date 72 of the 91 sourcekitd issues detected by the stress tester have been fixed. These fixes of course improve the quality of sourcekitd and the editing experience, but in many cases are also improving the Swift compiler itself. This is because sourcekitd shares a lot of common code with the compiler, and exercises it over a far greater range of invalid Swift source code. Code completion, for example, is regularly invoked in the middle of making changes to one or more files, while a build is usually only triggered once those changes near completion. For the compiler, fixing these issues is often the difference between getting useful diagnostics and a segmentation fault. The projects in the source compatibility suite are a great start, but the more projects the stress tester is run over, the more issues it will be able find. It’s for this reason the sourcekitd stress tester is now included in the swift.org trunk development toolchains. If you work on any Swift projects (and if you’re reading this blog you probably do) please try running it over them and report any failures it finds using the instructions below. This will not only improve your own Swift editing experience in future releases, but also everyone else’s. Start a build (⌘B) of the target you’d like to stress test and look at the build log in the Report Navigator for details on any issues it detects. Stress testing sourcekitd is an expensive operation, so expect the build to take significantly longer than usual. If any issues are detected, please follow the filing instructions below. Determine the path to the installed toolchain’s bin directory. Depending on the installation options you chose this should be under Library/Developer/Toolchains/<toolchain>/usr/bin in either your home directory or the root directory. Invoke the toolchain’s swift executable with the build command and additionally set the SWIFT_EXEC environment variable to the path to sk-swiftc-wrapper. Check the command output for progress and detected failures. Stress testing sourcekitd is an expensive operation, so expect the build to take significantly longer than usual. If any issues are detected, see below for filing instructions. /// in the binary format but were not handled when reading the object. Go to bugs.swift.org, sign up or log in to your existing account, and create a new issue. In the form that appears, include the type of failure detected and the request type that triggered it in the Summary field. For the example above this would be something like “Sourcekitd crashed making a CursorInfo request”. Copy and paste the stress tester output from the ‘Detected unexpected failure’ line to the ‘end file content’ line into the Description field. For Environment, be sure to include the swift.org toolchain version and (if applicable) Xcode version you used. If you can, please also include details on how to access the project you ran the stress tester over (e.g. by providing a Git url to clone, or attaching the Xcode project) and any steps to take to reproduce the issue (e.g. the swift build invocation or the target and run destination you used when running the stress tester). Click the “Create” button to finish filing the issue, and navigate to it via the notification that appears or under “Recent Issues” in the “Issues” menu. In the “Details” section please add the label “FoundByStressTester” to help us track the quantity and kinds of issues the stress tester is finding. The sourcekitd stress tester is a relatively simple new testing tool for sourcekitd, but based on the issues found running over the Swift source compatibility suite and its inclusion as part of Swift’s CI testing, we expect it to have a big impact on the reliability of the Swift editing experience in Xcode and SourceKit-LSP going forward. Knowing that code completion, local refactorings, and many other sourcekitd features work reliably on every token of every file of every project in the Swift source compatibility suite provides much greater confidence that changes to sourcekitd and the compiler aren’t regressing this functionality. The stress tester’s inclusion in the swift.org toolchains provides an avenue for yet further coverage too, as Swift developers now have a simple way to find and report sourcekitd failures in their own projects.